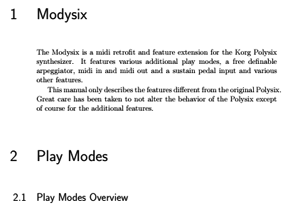 The ModyPoly – successor of the Modysix – is an upgrade for the Korg Polysix, Poly-61 and Mono/Poly synthesizers and features various additional play modes, a free definable arpeggiator, midi in/out, a sustain pedal input and various other features. * Pitch bend Polysix and Mono/Poly only. While the original Polysix only features 6-voice polyphonic, unison and chord memory, this mod adds additional play modes.2-voice and 3-voice polyphonic modes are tradeoffs between the maximum fatness of the unison and the maximum number of voices of the polyphonic mode. The Mono/Poly gets updated with 2-voice and 3-voice modes and two exciting random modes. Polychord lets you assign a chord consisting of up to 6 notes to any key of the keyboard. This can be done very quickly and is very suitable for playing live. Of course you can combine this feature with the normal arpeggiator or the powerarp (see below). This makes it possible to have a sequenced chord progression in the matter of seconds. The unison mode on the Polysix is basically a monophonic mode, but lacking almost all of the features that most monophonic synths have.The extended unison mode this modification offers changes that. Powerarp is a feature best described as a sequencer or a custom arpeggiator. You can define a sequence of up to 128 notes, which are then triggered by the arpeggiator clock. Up, down, updown and three different random modes are just a few ways to replay this sequence. You can use this with all play modes including Chord and Polychord, which means you can define complex chord progressions and replay them using the arpeggiator, an external trigger or using midi. You can also add breaks into the sequence which allows rhythmic arpeggiator sequences. Installation of the ModyPoly is very simple. It is a direct replacement for the “Voice assigner” processor of the Polysix, Poly-61 and Mono/Poly. No soldering is required here. To install the midi and sustain sockets you have to drill a few holes in the back of your synthesizer and if you want the optional midi to filter and pitch bend control you have to solder a cable. If you don’t want to install the mod yourself, check out our list of synth techs all around the world. The ModyPoly is designed an manufactured in Germany. ModyPoly can be ordered online here in our shop. We ship from Germany with fixed shipping costs worldwide. If you want us to install the mod for you please contact us. 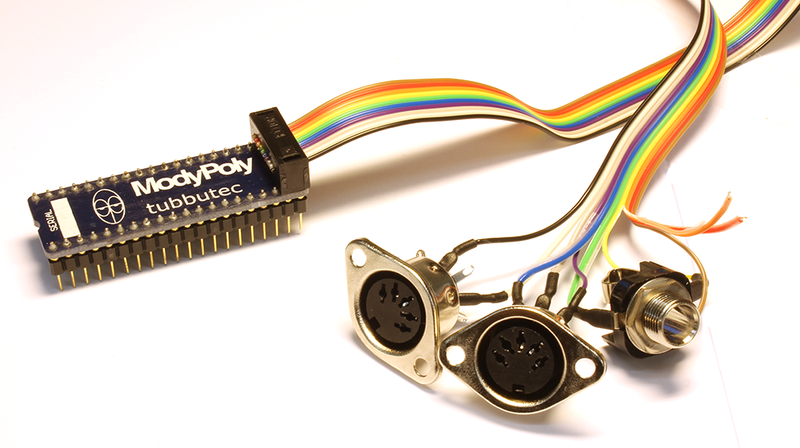 Midi retrofit and feature extension for Polysix, Poly-61 and Mono/Poly. 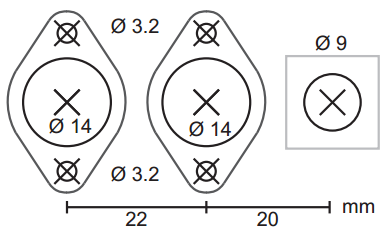 Also includes a stencil for drilling the holes and a sticker for labeling. Additionally overlays for ModyPoly are available. They serve as an easy lookup table for the internal config menu. 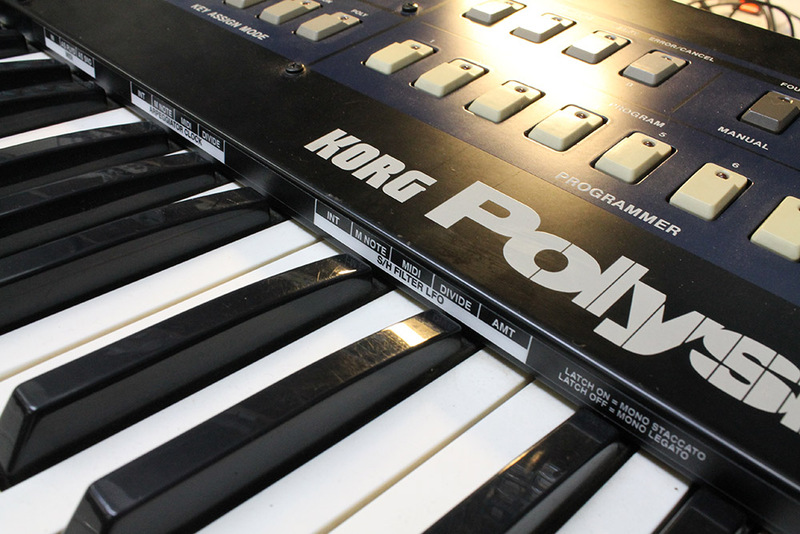 The overlays work for Polysix, Poly-61 and Mono/Poly and are white on black. For the the Polysix and Mono/Poly the strip fits perfectly on the front lip of the top panel. 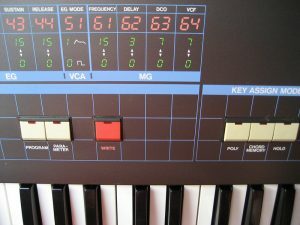 The Poly-61 version is mounted on the top panel. We install the ModyPoly for you. We are based in Berlin and you can either bring or send us your Synth. A lot of Polysix’s I worked with had worn or even broken push buttons. As the ModyPoly mod makes use of five Polysix buttons (POLY, UNI, CHORD, HOLD, ARP), the workflow will also be dependent on the quality of these. If your buttons are sticky or very hard to push, I recommend replacing them. Replacing is fairly easy but requires some soldering. Multiple how-to’s are available in the net. 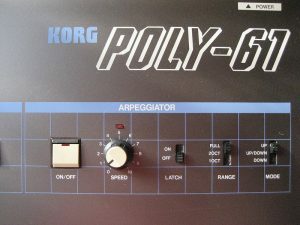 The ModyPoly works identically for the Polysix and the Poly-61, however due to the Poly-61 beeing DCO based there is no detuning between the six voices. 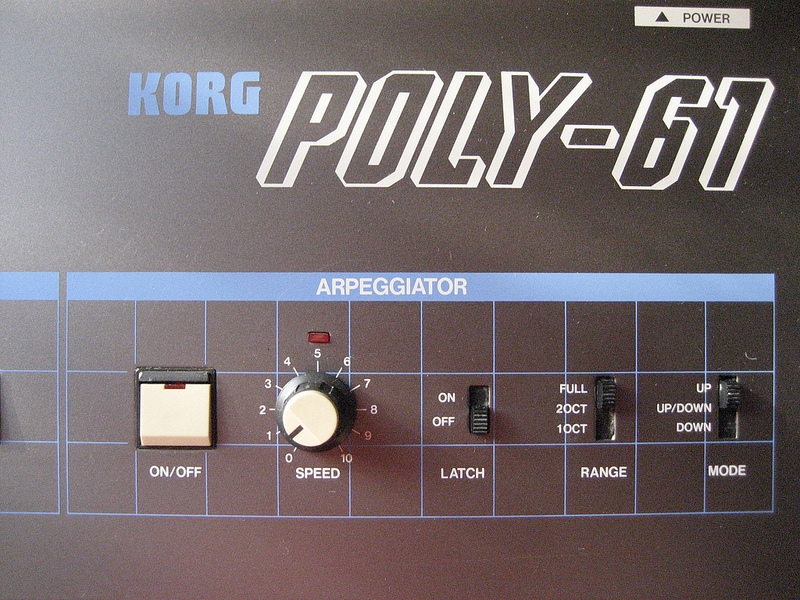 For this reason it did not make sense for Korg to implement a unison mode into the Poly-61 and consequently it does not have a unison button. As a result it is not possible to select unison, 2 voice and 3 voice mode by using the synthesizer’s interface. Even though it does not make sense to use 2 voice and 3 voice modes with a DCO based synthesizer (you just get less voices, but not the advantage of a ‘fatter’ sound), the extended unison mode offered by the ModyPoly might be interesting for some users for its emulation of classic monophonic synthesizers. – Use chord memory with up to six layered oscillators instead: Press hold ans play the same note multiple times. Then use it as Chord Memory. – Install a unison button (and led). See manual here. A: No, great care has been taken to maintain and emulate the behaviour of the original synths. All added features are additional to the existing ones. Q: I know some electronics and I want more features! Q: Does this work for the Poly-61M? Für den Preis ist [Modysix] sicher die beste Erweiterung, die man dem Polysix schenken kann. Wer einen Polysix hat und ihn liebt, sollte mindestens über Modysix nicht nachdenken, sondern sofort einbauen. Alle Geräte aus! Nur den Polysix und gemütlich bei einer Tasse Tee einen kompletten Song schreiben _und_ programmieren. Ich liebe es wenn man mit einem elektronischen Instrument so ‘privat’ arbeiten und dabei trotzdem voll ausholen kann. Translation: All gear off! Writing _and_ programming a whole song cosily with Polysix only and a cup of tea.